Gurihiru is a Japanese artist/illustrator duo comprising of Sasaki (pencils and ink) and Kawano (colors). For American comics, they mainly worked for Marvel and Dark Horse. 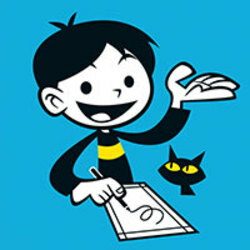 In addition to comic books and illustrations, they have also worked on character designs for video games and animation. Notable works: Power Pack (Marvel), Avatar: The Last Airbender (Dark Horse).